Baby horses are also named foals, especially in the first year of their lives. Foals are very energic and playful animals. They depend to a great extent on their mothers, because the mares are the only one feeding the babies and training them for life. 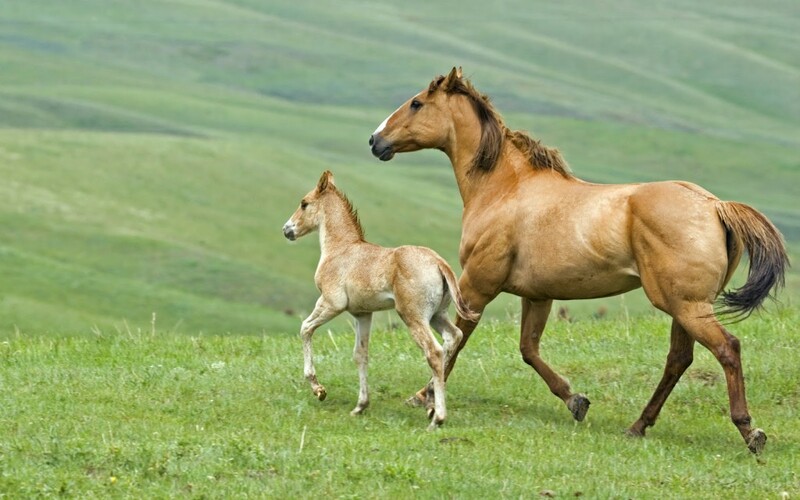 In order to keep up with the adults, baby horses have much strength just after they are born. In terms of the names given to baby horses, a female baby horse is called a filly, whilst a male baby horse is called a colt. From the moment babies are being weaned, these ones become weanlings, after that becoming a yearling, which is a term used for one year old foals. 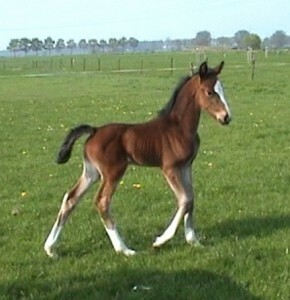 After being born, baby horses make great efforts and eventually manage to stand and even to walk. Nursing is a very important period for young horses because if this doesn’t happen, baby horses will not reach maturity. Because they have very long legs, young horses will be able to walk side by side with their parents, soon after they’re being born. This way, they will be real members of the herd. Grazing is another habit that foals have to learn. Because at birth their neck is a little bit shorter, it is harder for them to bend and eat grass. This is the reason why baby horses use to eat leaves from tall plants and bushes, which they can reach more easily. In the first few weeks of their lives, baby horses eat only milk from their mothers, being dependent of them. Soon after that, they will begin to add grass, besides mother’s milk, to their meal. When they reach the age of 2 or 3 months, their mothers will stop feeding them with milk, baby horses being forced to search other sources of nutrition to complete the meal. It is recommended that young horses should find feed apart from the place where his mother is eating. The amount of food that foals can eat in a day can reach about three kilos and they will need more as they grow in size and age. To be more effective, horse training should start during the first months of its life. A good way to start this is with its mother besides him, because it is easier to do activities with a foal when it sees his mother. At the beginning, all activities should take short time, in order to be effective.